The father of a baby boy who died after a 10-year-old girl allegedly stomped on his head has spoken out for the first time since his son's death. Nate Liedl was holding back tears as he remembered his six-month-old boy Jaxon. "I waited 37 years for my own little baby boy. I was extremely lucky because he didn't cry, no fussing, he was happy smiles all the time," Mr Liedl told ABC7. 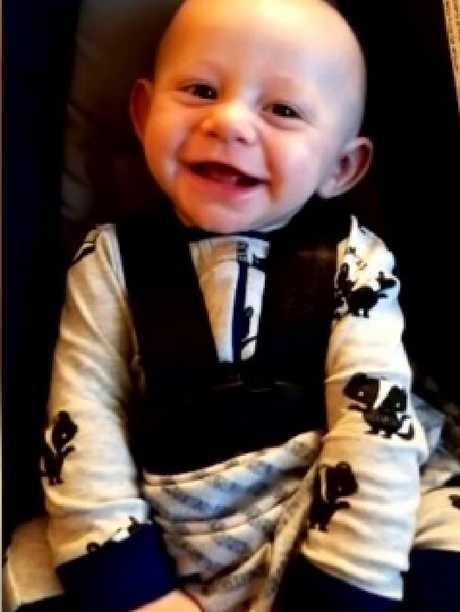 Baby Jaxon died two days after a 10-year-old allegedly stomped on his head at a Wisconsin daycare centre. He was found unresponsive and bleeding from his head. Wisconsin girl, 10, was led into court in handcuffs. She was charged with killing a baby after allegedly stomping on his head at daycare centre in the US. When Mr Liedl faced his baby's accused killer in court four days after she was charged with Jaxon's death, he said the young girl was a criminal and deserved to be in handcuffs. She was charged with first-degree intentional homicide. "As opposed to seeing it as a 10-year-old girl, I saw it as the person who killed my son. And she, in my opinion, deserved to be in shackles or handcuffs. She's a criminal," Mr Liedl said. He watched the girl sob as she was taken away in handcuffs. The young girl buried her head into mother’s arms. Officials said the young girl, who cried throughout a recent 10-minute hearing, dropped Jaxon by accident. He hit his head on a footstool and began crying before the girl panicked and stamped on his head. She was living at a foster home which also served as a daycare centre in the town of Wheaton. 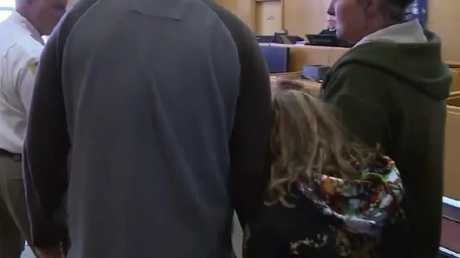 Her biological parents were with her in court where she was seen clinging to her mother. 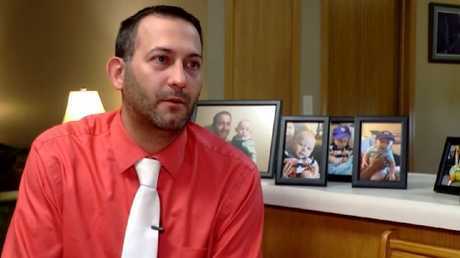 Jaxon’s father, Nate Liedl, said he went to court to see the 10-year-old girl who is charged with murdering his baby boy. Sheriff Jim Kowalczyk from Chippewa County Sheriff's Department said the sheriff's department then received a call from medical personnel, "a doctor, attending this youth and indicated that his belief was that the injuries sustained by the six-month boy was not an accident." 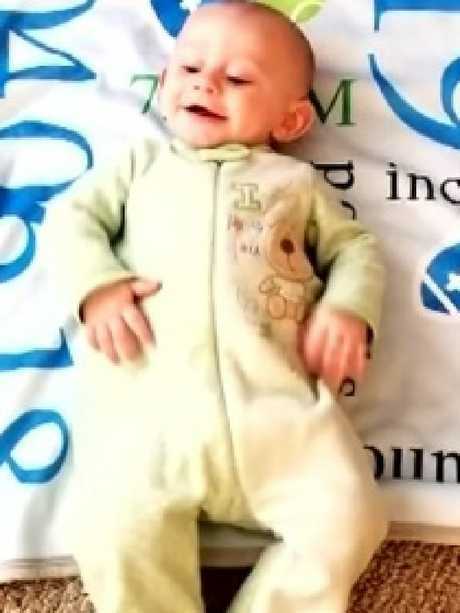 Six-month-old Jaxon Liedl, above with his father Nate, died earlier this month after a young girl allegedly stomped on his head. When Mr Liedl arrived at the daycare on October 30, he was unsure of his son's condition and followed the ambulance to St. Joseph's Hospital. "You don't want anybody to be hurt but selfishly you're thinking inside you especially don't want it to be your own child," he told ABC7. At first, Jaxon seemed to be okay, but sadly it wasn't the case. "They had mentioned what are we going to do if his heart stops, and it caught me completely off guard," Mr Liedl said. "I had sent a couple messages out to family to let them know that Jaxon's not going to make it. Jaxon was found unresponsive and bleeding from his head. "I remember, I broke down out there pretty bad. Yeah, it really hit hard." Mr Liedl said his time with his son was cut even shorter due to delays in his child custody process. "Missing out on those first three months was hard enough. And then, to be granted only eight hours after that, I feel like they essentially robbed me of time with Jaxon," he said. "Now I'm not going to be able to get any of it back. 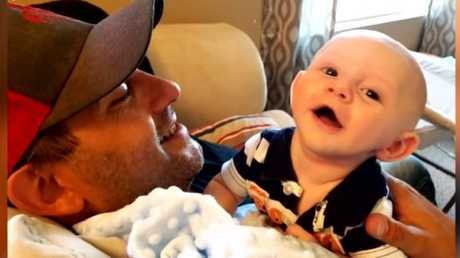 If it helps one father get more time with their child, then that's good." He died two days later, on November 1, in hospital. Jaxon died on November 1 and despite the tragedy, Mr Liedl does not blame the daycare provider for what happened. The girl charged in Jaxon's death returns to court on December 11.